We are excited to have the opportunity to provide the Swedish engineering industry with gantry solutions from FRAi. FRAi find our long experience in automation as a great asset to be able to present the most optimum solution in i each and every project at all times. You will find more information on FRAi here. 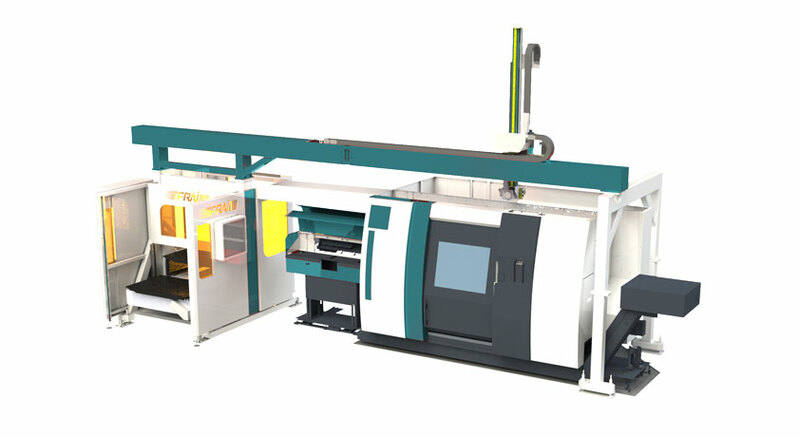 As the Swedish sales representative for gantry robots from FRAi in Austria we are able to provide a broad area of solutions for most lathes on the Swedish market. There is an option to choose between standardized solutions containing two layers of magazines fitted for your products or special solutions for your requirements. For example, the possibility to connect several machines. InLead handles all sales, project management, installation and service.